This book is a journal of my aviation photography for the calendar year 2008. It's been a fantastic year for me being able to capture some rare aircraft in some rare moments. I have also had a wonderful opportunity to fly in some classic warbirds and experience flying in them as others have before me. A 'space rose' will add the New Year's Day Rose Parade to its 5.3 million mile trek. SpaceX has achieved its goal of a fully integrated Falcon 9 at Cape Canaveral before the end of the year: "Falcon 9 is now fully integrated at the Cape! Today we mated the 5.2 m payload fairing to the Falcon 9 first stage (see below). This was the final step in the integration process—one day ahead of schedule. ..."
Indianapolis-based Rolls-Royce Corp. is being awarded a $221 million contract modification to perform work for the U.S. Navy. The contract deals with MV-22 and CV-22 engines and one year of support services. The work will be performed at the company's Indianapolis facility. The Museum of Flight: Happy New Year! It's a busy week here at The Museum of Flight! The annual Blackbird Tip-to-Tail tours continue through Sunday, Jan. 4 at 11 a.m. and 2 p.m. daily. Even if you think you know the Blackbird story well, you are sure to learn something new among the astounding facts and figures the docents share. Thursday, Jan. 1 the Museum stays open late for Wells Fargo Free First Thursday. From 5 - 9 p.m., enjoy the Great Gallery, Personal Courage Wing, Space: Exploring the New Frontier exhibit, flight simulators and more--for free! The Museum Store and Wings Cafe will also remain open for the extended hours on this night. Finally, Sunday, Jan. 4 is your last chance to see Harmony of the Universe: The Art of Toshiro Sawanuki in the Great Gallery. The Museum's new temporary exhibit, The Berlin Airlift--A Legacy of Friendship opens in the Great Gallery on Saturday, Jan. 10. Still the fastest piloted jet the world has ever seen some four decades after its first flights, the Lockheed Blackbird continues to fascinate and amaze. And so do the Museum's wonderfully knowledgeable docents! Continuing a holiday tradition, the docents pull out all the stops for their special Tip-to-Tail Tours of the Museum's unique M/D-21 Blackbird and Drone. Even if you think you know the Blackbird story well, you are sure to learn something new among the astounding facts and figures the docents share. Thursday, Jan. 1, 5 - 9 p.m.
Once a month, the Museum stays open late--for free! Enjoy the Museum's Great Gallery, Personal Courage Wing, Space: Exploring the New Frontier exhibit, flight simulators and more from 5 - 9 p.m. courtesy of Wells Fargo. Museum Store and Wings Café will also remain open for the extended hours on this night. BANK OF AMERICA WEEKEND FAMILY WORKSHOP: SPACE STATIONS: A HOME IN THE SKY! Saturdays and Sundays, Jan. 3, 4, 10, 11, 17, 18, 24 and 25 at 11:15 a.m. and 1:15 p.m. Since the 19th century, scientists and writers have dreamed of an outpost in space orbiting the Earth, where people could live and work. Learn about space station design, then build your own space station model! On view for one month, this exhibit honors the 60th anniversary of the humanitarian effort commonly known as The Berlin Airlift. The exhibit is presented in part by The Embassy of the Federal Republic of Germany, Washington, D.C. The Museum is one of only a few places this exhibit can be seen during its year-long tour of the United States. "Pappy Boyington Field - A Campaign to Honor a Hero" tells a story surrounding the controversy in paying tribute to a hometown hero by changing the name of the local airport. The town is Coeur d'Alene, Idaho, and the hero is World War II Marine fighter ace, "Pappy" Boyington. Filmmaker Kevin Gonzalez will be on hand to introduce the film and to answer any questions during both screenings. Maj. William H. "Bill" Allen flew P-38 Lightnings and P-51 Mustangs during the war. Hear how he became an "ace in a day." Maj. Frank McCauley, credited with 5 ½ aerial victories, flew the P-47 Thunderbolt and completed 46 fighter missions over Germany. 1st Lt. George P. Novotny was credited with three confirmed aerial victories flying in the P-40 Warhawk with the 325th "Checkertail" FG while in Africa in May, 1943. In December he was transferred to Italy and flew the P-47 Thunderbolt, gaining five more aerial victories. Docent Dr. Dieter M. Zube will present the role of the military C-47 and the civilian DC-3 in the Berlin Airlift. Zube's Father was involved in the Airlift operation. On Jan. 2, 2004, NASA's Stardust spacecraft flew through the coma of Comet Wild 2 and collected approximately 1 million bits of dust from the comet. Two years later it flew back past Earth and dropped a capsule of comet dust samples that landed on the Utah desert. These are the first extraterrestrial samples returned to Earth since the 1970s and the first from beyond the Moon. This little comet dust bin has revolutionized our understanding of these cosmic building blocks. Stardust Principal Investigator Don Brownlee will share the details of this exciting mission and what it has shown us about the formation of our Solar System. In conjunction with the Museum's temporary exhibit celebrating the 60th anniversary of the Berlin Airlift, author Andrei Cherny will talk about his popular book on the subject, The Candy Bombers. Bringing together newly unclassified documents, unpublished letters and diaries, and fresh primary interviews, Cherny tells the tale of the ill-assorted group of castoffs and second-stringers who not only saved millions of desperate people from a dire threat, but changed how the world viewed the United States - setting in motion the chain of events that would ultimately lead to the dismantling of the Berlin Wall and America's victory in the Cold War. The Museum remembers the fallen astronauts of Apollo 1 and Space Shuttles STS-51-L Challenger and STS-107 Columbia during the anniversary of the tragedies. Special remembrance exhibits include the display of the panels highlighting the lives of each of the 17 astronauts. There will also be a special display of personal memorabilia from Washington State resident and Columbia pilot Willie McCool. BANK OF AMERICA WEEKEND FAMILY WORKSHOP: BADGE OF HONOR: REMEMBERING THE CREWS OF APOLLO 1, STS-51-L CHALLENGER AND STS-107 COLUMBIA. Saturday, Jan. 31 and Sunday, Feb. 1 at 11:15 a.m. and 1:15 p.m. Learn about the history of space mission patches. Then make your own space mission button honoring the American astronauts who have given their lives to advance the progress of space travel. In honor of NASA Astronaut Remembrance Weekend and in conjunction with the Friends Always: The Berlin Airlift--A Legacy of Friendship exhibition, Dr. Dunbar will give a presentation on her first space flight experience; STS-61-A Challenger--the West German D-1 Spacelab Mission. A PLANE enthusiast plans to revive the Wings Over Walney Air Show next year - if he can raise £50000. Paul Rose, who is head of the local air cadets and owns his own plane, ran the successful air show for the first time with BAE in 2005. In 1955, the first transport acquired by the team was a C-119F Flying Boxcar. By 1958, it was replaced by two C-123Bs. In January 1979, the first operational F-16 Fighting Falcon was delivered to Hill Air Force Base, Utah. Nearly 30 years later to the day, a pilot from here has amassed 4,000 hours flying this workhorse of the air. ... Ron Buccarelli, a 51-year-old Hollywood man, was injured after his 1959 Beechcraft E18S crashed into a wooded area just outside the airport. He was the sole occupant of the plane, and he was conscious after the accident, despite suffering some head trauma, officials said on Saturday. 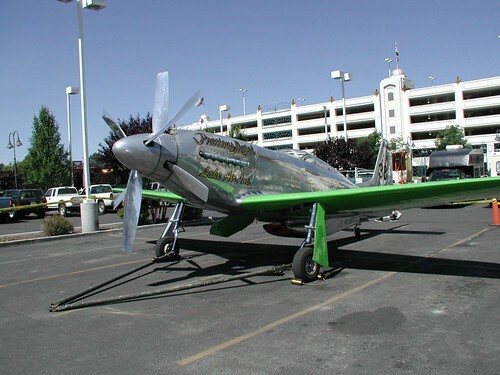 ... Buccarelli, a long-time air racer who is lauded across the Internet for reaching speeds above 400 miles per hour in his P-51D Mustang, "Precious Metal," retired from the sport only a few years ago. The 3-day 1947 National Air Race's at Cleveland attracted an unprecedented 104 entriescompeting for a total purse of $125,000 ... new was the Allison Race to Indianapolis and back. Fred Crawford, president of the National Air Races said in an interview "Cleveland will be the most exciting spot on earth this weekend"
DULUTH, Minn.| Residents of Duluth are stepping up to help a member of the Tuskegee Airmen who was invited to attend Barack Obama's inauguration but didn't know if he could afford the trip.
. . . we have this story of corporate re-branding gone awry. ...Unfortunately, it then put the logo and its new name rather too close together on its aircraft. This caused speakers of English-English (as opposed to American-English, where the term isn't common) to do a double-take before they burst into raucous laughter. You see, in English-English, the two in combination appear to form a rather unfortunate word. The NYTimes covers the ongoing discussions between the incoming Obama administration and NASA. EAA AVIATION CENTER, OSHKOSH, Wis. - (Dec. 30, 2008) - Many of the world's top air show performers have already given early confirmations to participate at EAA AirVenture Oshkosh 2009, "The World's Greatest Aviation Celebration," on July 27-August 2 at Wittman Regional Airport. Among the early confirmations are more than a dozen women who will participate in special "Women Fly" air show activities on Friday, July 31, and Sunday, August 2. Other invited performers include those with Canadian ties or aircraft to honor 100 years of aviation in Canada. In addition, second-generation air show standouts Matt Younkin and Kyle Franklin will be appearing at AirVenture, as well as the Red Bull aerobatic helicopter, which made a spectacular debut at Oshkosh in 2008. Yearly favorites such as Sean D. Tucker, Mike Goulian, the AeroShell Aerobatic Team, and the Warbird Spectaculars will be part of the schedule as well. "Each of these performers work as a headline act at air shows throughout the country, but they come together at EAA AirVenture to make an all-star roster of the 'best of the best,'" said Tom Poberezny, EAA president and AirVenture chairman, who flew as a member of the renowned Eagles Aerobatic Team. "Air show performers are eager to fly at Oshkosh because it represents a major achievement in their careers, flying in front of the most knowledgeable and appreciative audiences on the air show circuit. Look for even more top performers to be added to the list in early 2009." The afternoon air show is an anticipated spectacle each day at EAA AirVenture, providing an exciting way to round out to a full day on the Oshkosh flight line. 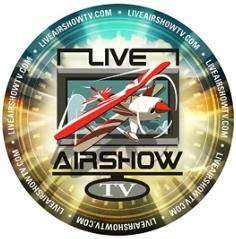 In 2009, the best elements of the daily air show and the "showcase" flying from previous years will be combined to provide several hours of exciting and entertaining aerial entertainment. 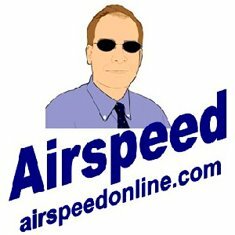 Exact daily performance schedules will be finalized in the weeks prior to EAA AirVenture and will be announced through the event's extensive website at www.airventure.org. "Each afternoon's showcase and air show create a daily attraction that simply cannot be seen anywhere else but EAA AirVenture," Poberezny said. "Oshkosh is the place where the airplanes, people and innovations come together each year in aviation's family reunion." Hear a first-hand account of life at the International Space Station from NASA astronaut Gregory H. Johnson at 7:30 p.m. on Thursday, Jan. 22. Johnson was pilot of STS-123 Endeavour on March 11-26, 2008, which completed both launch and landing at night. It was the 25th Shuttle/Station assembly mission and was accomplished in 250 orbits of the Earth, traveling over 6 million miles in 15 days, 18 hours, 10 minutes and 54 seconds. Click here to learn more about this event. A new exhibit in the Cold War Gallery will feature emerging museum technology to engage visitors in the compelling stories of Air Force Airmen in Operations Enduring Freedom (Afghanistan) and Iraqi Freedom. Sound and lighting effects, videos, interactive displays, dioramas and hundreds of artifacts will make visitors feel as if they are part of the storyline. Watch the museum's Web site for up-to-date information about this exciting new exhibit, opening to the public on Tuesday, Jan. 13. The museum's popular monthly Family Day is scheduled for 10 a.m.-3 p.m. on Saturday, Jan. 17. This month, celebrate Australia Day by learning about one of the first known uses of the airfoil: boomerangs! Also, special guest Gary Broadbent will talk about the history, craft and competition of boomerangs, and visitors can participate in aviation-related demonstration stations, storytime and an Aerospace Adventure. Activities are located throughout the museum's galleries. Click here for more Family Day information. The museum's MH-53M Pave Low IV helicopter (S/N 68-10357) is now on display in the Cold War Gallery, next to the new Warrior Airmen exhibit. This aircraft carried the command element during the mission to rescue American prisoners of war from the Son Tay prison camp near Hanoi, North Vietnam, in 1970. After Vietnam, it flew in many more combat engagements including Operation Desert Storm and Operation Iraqi Freedom. After 38 years of service, its final flight was a combat mission in Iraq on March 28, 2008. Click here to learn more about the MH-53M. 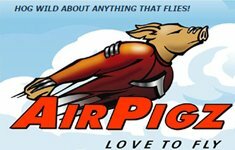 You heard it on Flight Line Internet Radio!